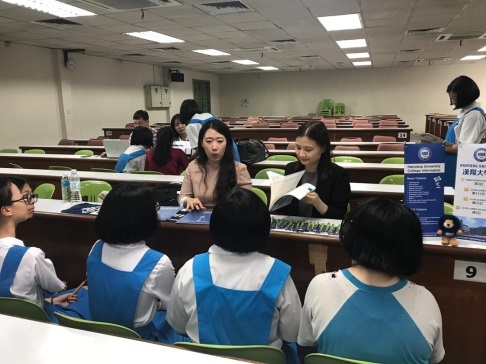 Five universities from Korea came to our school to give a presentation to our Senior Middle Two and Senior Middle Three students. The universities include Ewha Womans University, Hanyang University, Konkuk University, Kyung Hee University and Yonsei University. On that day, they introduced their universities, shared information related to admission and the life in Korean universities.